Is my health at risk? Is black mold toxic? Can I get rid of mold with bleach? Should I leave my home or office during the mold remediation process? Is Mold A Risk To My Health? Mold can cause serious health problems but it depends on the individual. Mold produces allergens, which can cause reactions, for sensitive individuals, those reactions can be serious. It can also induce asthma attacks. However, if you are experiencing health side effects from mold being in your home or office building, having a mold remediation specialist come in to remove it can cause those symptoms to go away. Most of the time, health side effects from mold are treatable. But we all react in different ways. If you discover mold in your home or business – do not disturb it. This will help prevent mold spores from launching into the air and decrease the potential health risks to you and other building occupants. Call us today to have our mold remediation technicians safely clean and sanitize the area. How Do I Get Rid of Black Mold? 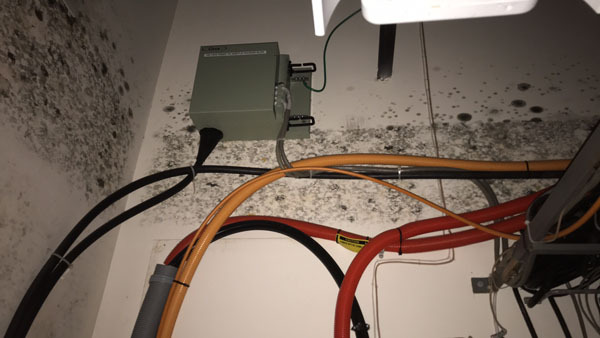 Black mold isn’t any different from pink mold or purple mold. Our black mold removal service is the same process as getting rid of any other kind of mold. Black mold is not “toxic” or any more dangerous to your health than any other mold. It all has the same potential health risks. First, the water source causing the mold to growmust be dealt with. If not stopped, the mold will continue to grow back. In areas less than 10 sq. ft., clear the area of debris, HEPA vacuum the area, then wipe with a damp cloth changing cleaning towels often to avoid re-contamination and let the area dry. In areas larger than 10 sq. ft. we recommend having a mold remediation specialist come to complete the removal. Larger areas need specialized containment, with HEPA filtration devices and additional equipment, of which trained technicians work with every day. Contact us for mold remediation services! Will Using Bleach Solve My Mold Problem? You or someone you know has probably recommended using bleach to get rid of that ugly, smelly mold. But do not be fooled, while it may smell like bleach once you are done, the mold is not gone. It may smell clean but it is not clean. You must physically remove the contamination or the source. Without first fixing the source of why you have mold, you will continue to see mold grow. In addition, bleach is hard on the lungs and skin. NEED HELP? We can answer YOUR mold questions! What makes us qualified to help you? We are a certified mold remediation company, with more than 30 years of experience. 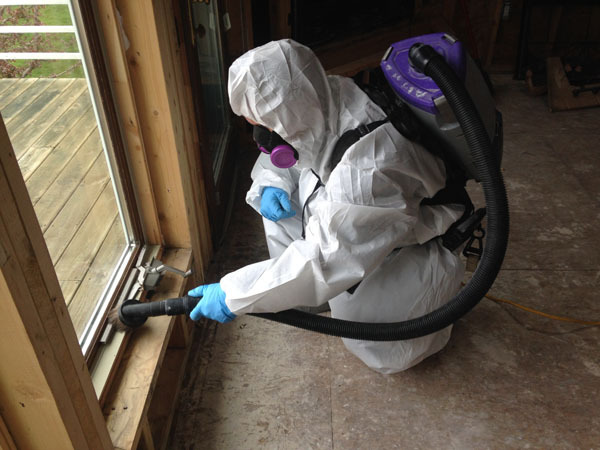 Our mold remediation procedures follow all EPA and OSHA guidelines as well as industry standards defined by the Institute of Inspection, Cleaning and Restoration Certification (IICRC), Restoration Industry Association (RIA) and other industry certification protocols. Mold remediation may be done in conjunction with an Environmental Consultant or Certified Industrial Hygienist, if desired. We typically recommend some level of post remediation verification, PRV, for most projects.